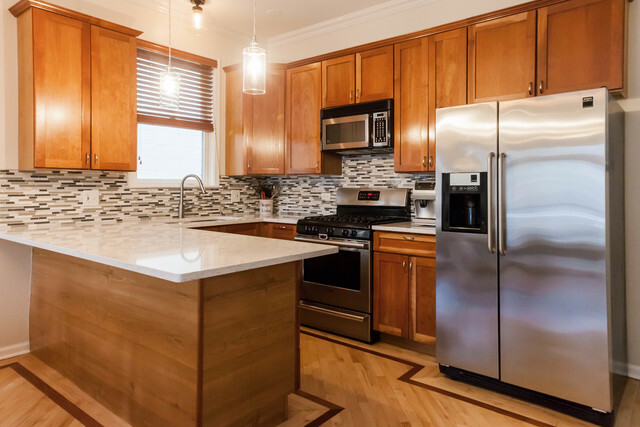 Check out this amazing off-market listing before it goes! 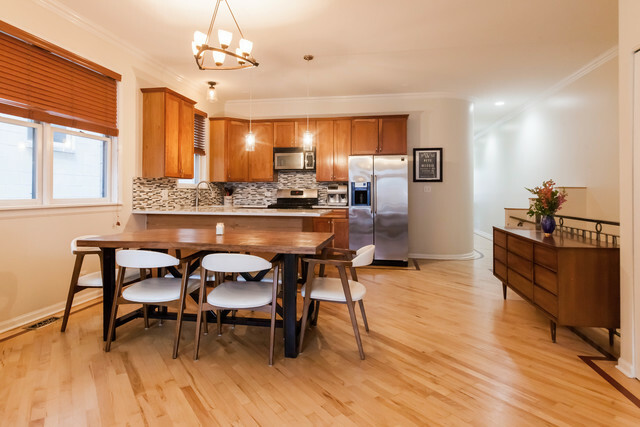 Contact me for a private showing before this hits the Spring Market. 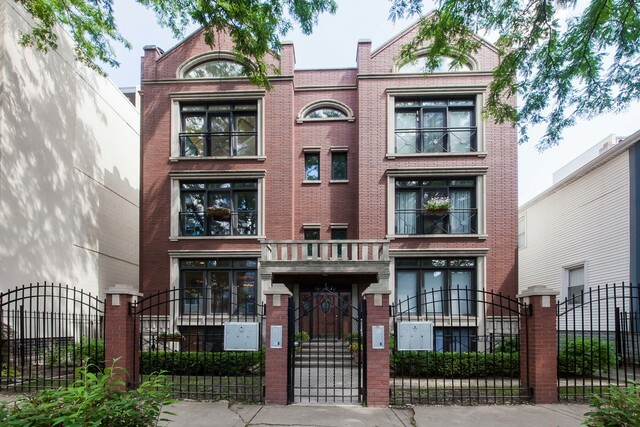 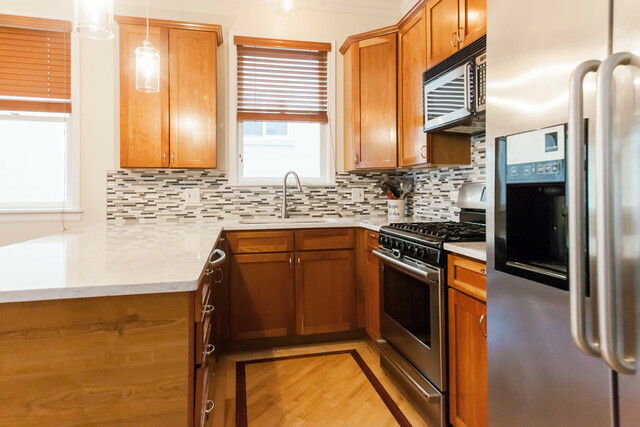 Spacious and bright 3bed/3bath duplex down in prime West Town location. 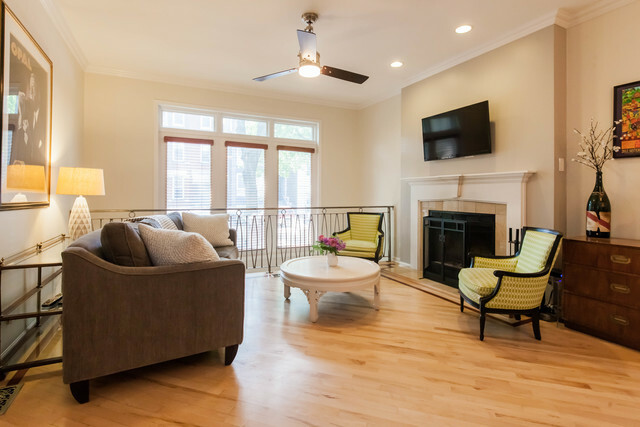 Floor plan features two upstairs bedrooms and chefs kitchen w/ cherry cabinets, quartz counters, stainless steel appliances, backsplash, and breakfast bar. 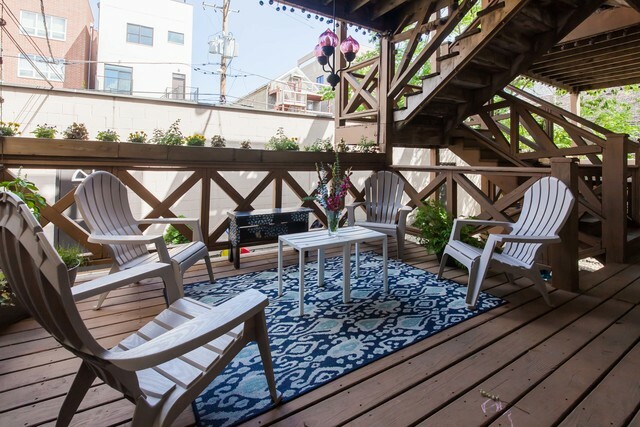 Two floors of living space, huge windows, front patio and well-appointed back deck. 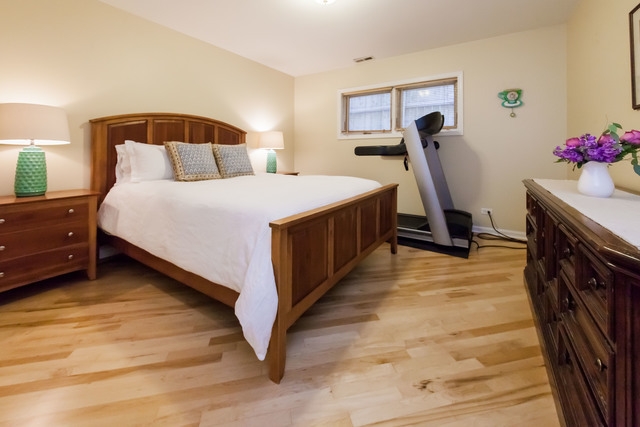 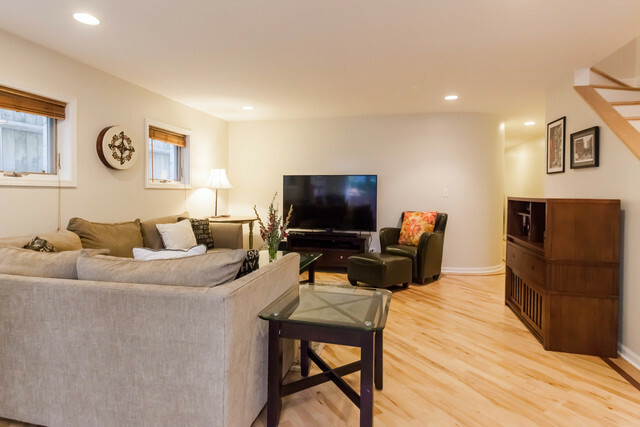 Hardwood throughout, fireplace, tons of storage, and garage parking. 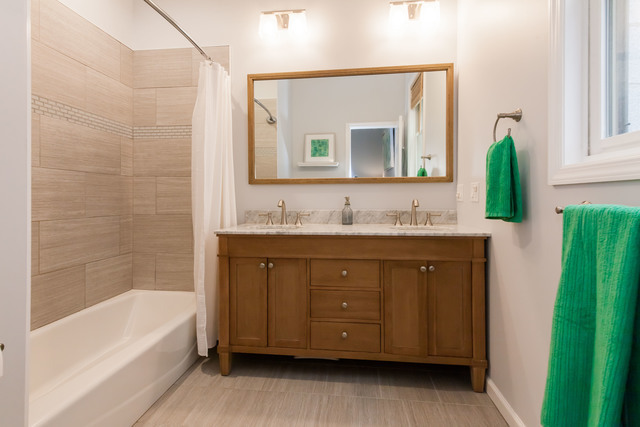 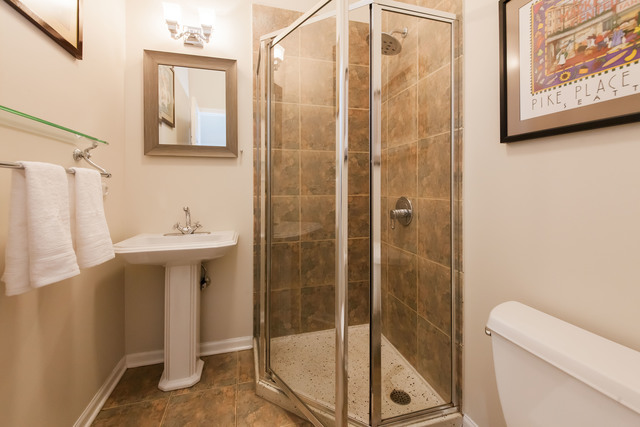 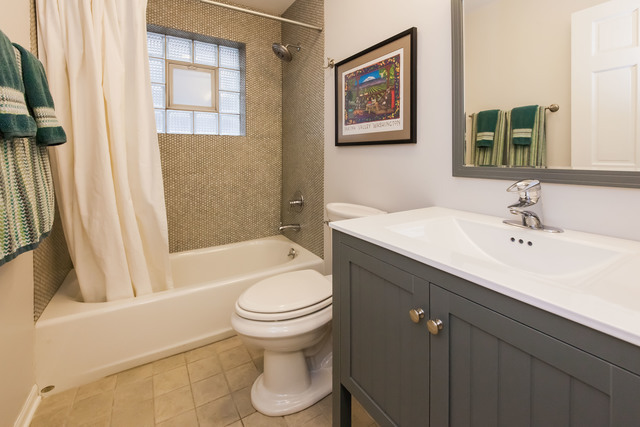 Newly renovated master bath, new furnace, washer/dryer and more. 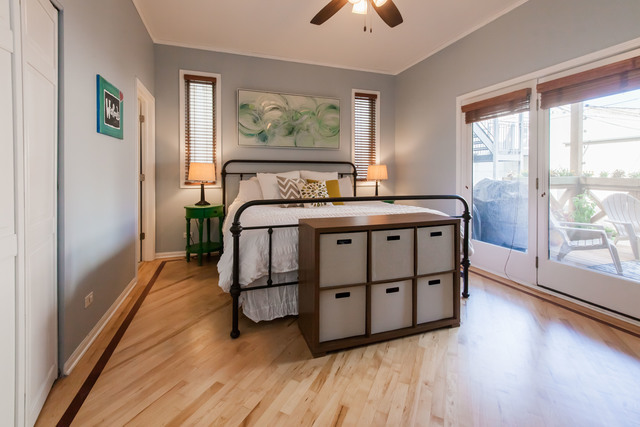 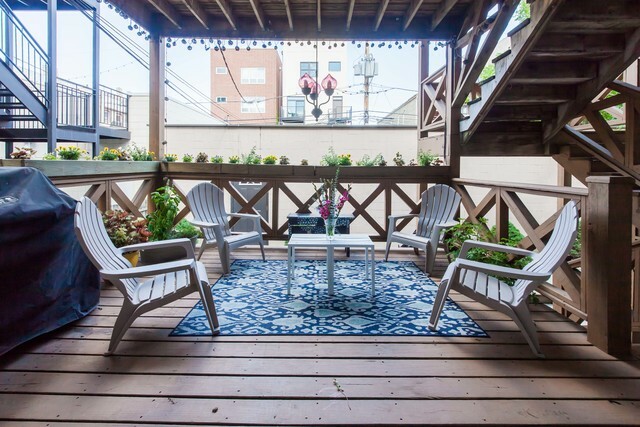 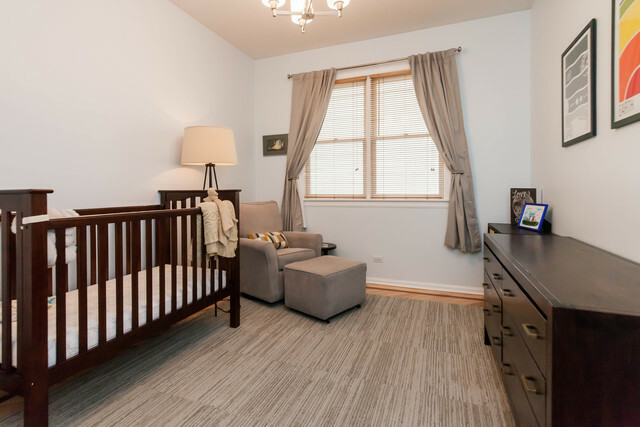 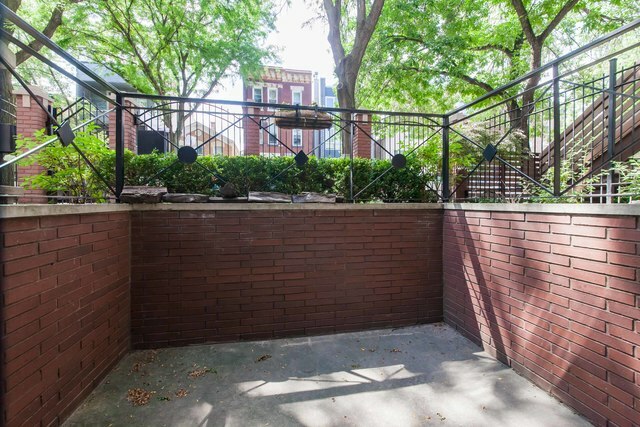 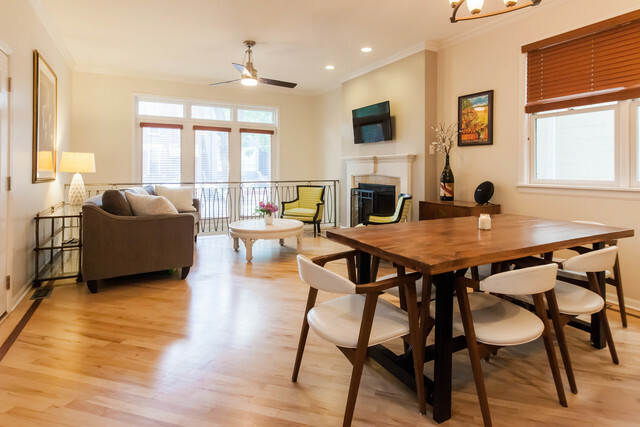 Minutes to 90/94, walk to Blue Line, close to Wicker, Mariano’s, shops and dining on bustling Chicago Ave.
What a large deck off the master bedroom! 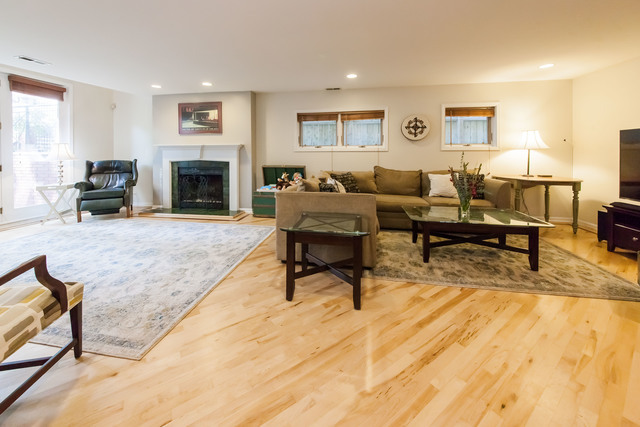 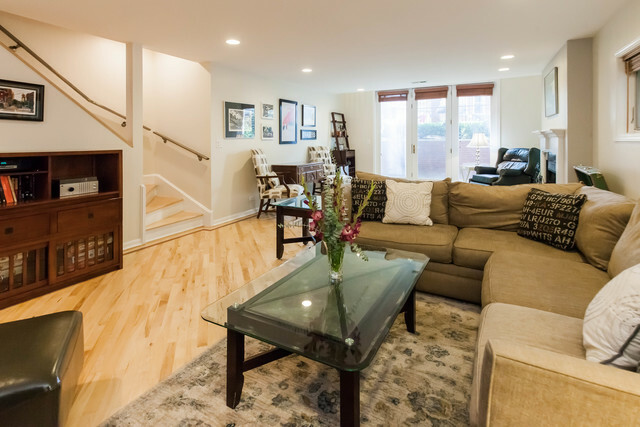 The spacious lower level family room gets tons of light and features additional outdoor space.